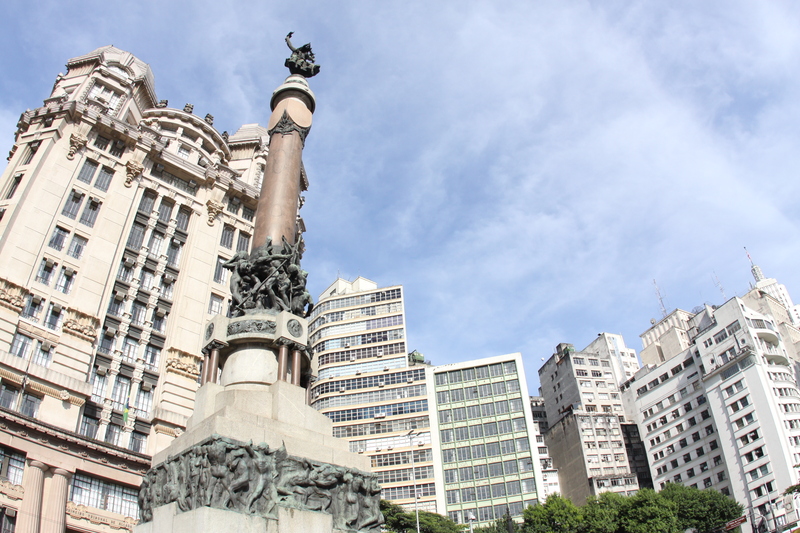 “Viaduto do Chá and Praça da Sé are just a few of the representative and historical places of São Paulo,” affirms the student Nathalia Gorga, who visited the Center of São Paulo for two days and was delighted with what she found there. “Sé Cathedral and the Municipal Theater also have a lot of history”, she adds. São Paulo, founded in 1554, still preserves emblematic spaces and constructions that tell its trajectory until it reached the rank of largest metropolis in the southern hemisphere. 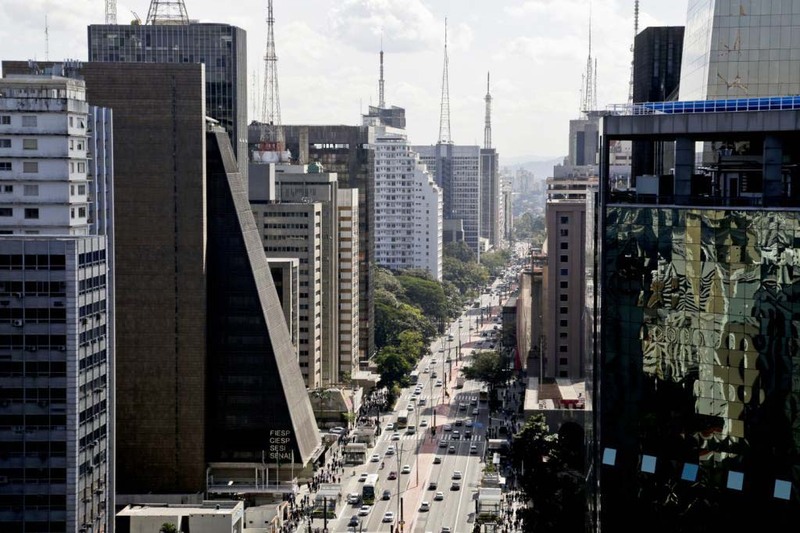 Isabela Rossi worked six months in the Center of the city and says that it was enough to breathe the history of São Paulo. “Whenever I got to (Street) Libero Badaró, I was sent back to several different times,” she says. Pateo do Collegio. Photo: Caio Pimenta/ SPTuris. 1554 – the date could not be better represented than by Pateo do Collegio, an emblematic place, located in the center of São Paulo, where the official ceremony of Foundation was held. 1598 – Do you want to go back to this year? Then you can visit the Mosteiro de São Bento. He makes reference to the Benedictines who arrived in town in this year. In 1634, the Abbey was created, and the chapel was dedicated to Saint Benedict. Pope Benedict XVI stayed in the Monastery during his visit to the country. 1825 – Wandering through the Street 25 de Março is not only pleasant because of the variety of products, from clothing to decorations, at popular prices! The street refers to the year of 1825, date of its appearance, when Arab immigrants opened the first stores in the place. In addition, the name alludes to the date of creation of the first Brazilian Constitution granted by Emperor D. Pedro I. 1827 – With an already independent Brazil (1822), the city of São Paulo won an important institution, the Academia de Direito, located in Largo São Francisco. It was responsible for the academic education of important public figures, who staged moves that marked the history of the country, as Diretas já. 1834 – Who visits the Solar da Marquesa, in the Center of São Paulo, goes back to 1834, when the marquise of Santos, mistress of Emperor D. Pedro I, bought the building. 1890 – The date marks the Foundation of the São Paulo Stock Exchange (Bovespa). Today, it is considered the largest trading center with shares of Latin America. Avenida Paulista. Photo: José Cordeiro/ SPTuris. 1891 – This year witnessed the opening of the city’s most famous Avenue, Avenida Paulista, where the coffee barons – the black gold that moved the Brazilian economy in the 19th century – built their mansions. Some of these buildings were considered Historical Heritage, such as the residence of Joaquim Franco de Mello, built in 1905 (number 1919 of the avenue) and the Casa das Rosas, which was the home of Ernesto Dias de Castro, with the first building dated in 1935 (number 37). 1901 – the date is also marked by the foundation of the Estação da Luz, inspired by Westminster Abbey, London. Distinguished figures and immigrants, who arrived in the city in the 20th century, passed by it. Right next to it, is the Museu da Língua Portuguesa (Museum of the Portuguese Language). 1910 – the date is a milestone between the old and the new city of São Paulo, bounded by the Vale do Anhangabaú. Until the date of Brazil’s independence (1822), the area was a farm owned by the Baron of Itapetininga, where residents sold tea and watercress. To get to the other side of the hill, it was necessary to cross the bridge of Lorena, which in 1855 became the Formosa Street. Urbanization came with the project of construction of the Viaduto do Chá, in 1877. 1929 – A visit to the Edifício Martinelli, designed by the Italian Giuseppe Martinelli, makes an allusion to the date that marks the founding of the first skyscraper of Latin America. The building is in the Center of São Paulo, between the São Bento Street, the famous São João Avenue and Libero Badaró Street. 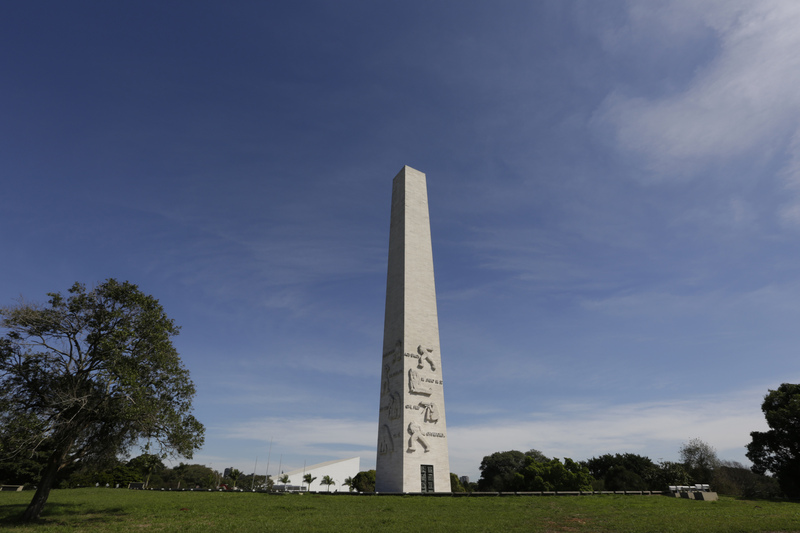 Obelisk Mausoleum at Ibirapuera Park. Image: José Cordeiro/SPTuris. 1932 – Stopping by the garden that points to the 23 de Maio Avenue, where the Obelisco do Ibirapuera (Obelisk Mausoleum) is located, is going back to the year of 1932 and recalling the Constitutionalist Revolution. The monument was opened in 1955 and holds the bodies of some of the combatants. The name of the Avenue also references the date that marks the death of the four students (Martins, Miragaia, Dráusio and Camargo). 1933 – The date brings the image of a delicious bologna sandwich. It was in this year that the Mercado Municipal de São Paulo (Municipal Market), known as Mercadão, was inaugurated in the 25 de Março Street. 1938 – The date refers to the creation of Estação Júlio Prestes, important for the transport of products from the coffee industry. The name alludes to the former President of Brazil, Júlio Prestes. Today, it houses the headquarters of the Secretariat of Culture of São Paulo and Sala São Paulo. Ibirapuera Park. Photo: Jose Cordeiro/SPTuris. 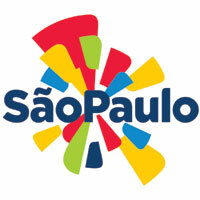 1954 – The year that celebrated the 400 years of the city of São Paulo. 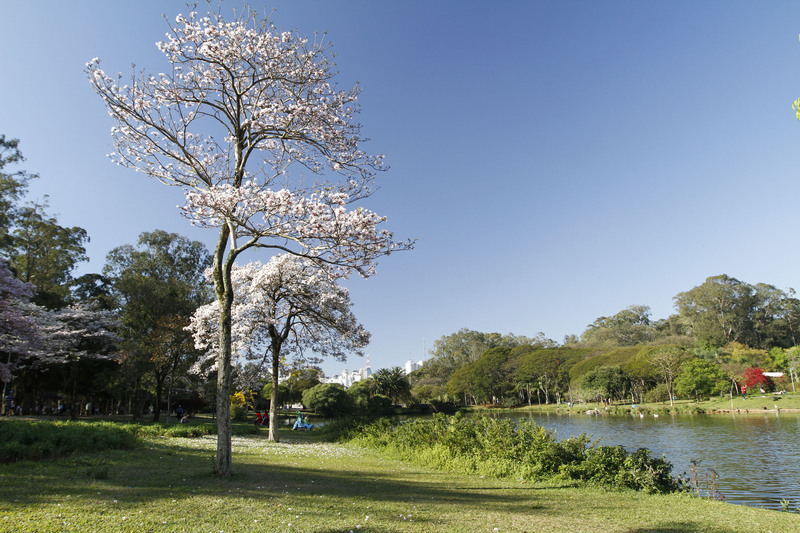 For this reason, the capital inaugurated the Parque Ibirapuera (Ibirapuera Park), the best known and frequented the park of the city. Next to him, the Monumento às Bandeiras was inaugurated. 1954 – the 4th centenary of the state capital is also celebrated with the inauguration of the Catedral da Sé and of Praça da Sé. In front of the Cathedral is Marco Zero, a marble monument in the shape of a hexagon with a map of the roads departing from São Paulo to other states.